One of the most profound reads I've heard yet! Coney Island: Coralie Sardie is the daughter of the impresario behind The Museum of Extraordinary Things, a boardwalk freak show that amazes and stimulates the crowds. 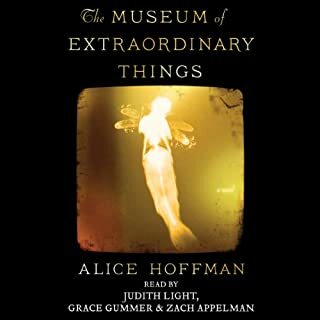 An exceptional swimmer, Coralie appears as the Mermaid in her father's "museum", alongside performers like the Wolfman, the Butterfly Girl, and a 100-year-old turtle. One night Coralie stumbles upon a striking young man photographing moonlit trees in the woods off the Hudson River. 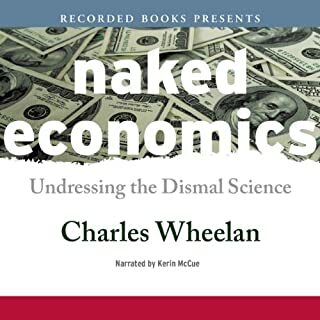 In Naked Economics, journalist Charles Wheelan does “the impossible”—he makes economic principles relevant, interesting and fun. 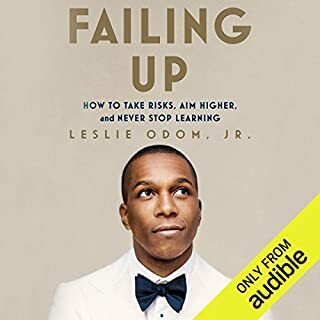 Brimming with scores of down-to-earth examples and sprinkled with humorous anecdotes, this comprehensive overview will keep listeners smiling and wide awake. We know - and love - the story of the American Revolution, from the Declaration of Independence to Cornwallis' defeat. But our first government was a disaster, and the country was in a terrible crisis. So when a group of men traveled to Philadelphia in the summer of 1787 to save a nation in danger of collapse, they had no great expectations for the meeting that would make history. At 8:46 a.m. on September 11, 2001, 14,000 people were inside the twin towers; reading e-mails, making trades, eating croissants at Windows on the World. Over the next 102 minutes, each would become part of a drama for the ages, one witnessed only by the people who lived it, until now. After their home burns down, fourteen-year-old Nick, his younger brother, and their father move into a ramshackle Victorian house they've inherited. When Nick opens the door to his attic room, he's hit in the head by a toaster. That's just the beginning of his weird experiences with the old junk stored up there. After getting rid of the odd antiques in a garage sale, Nick befriends some local kids - Mitch, Caitlin, and Vincent - and they discover that all of the objects have extraordinary properties. In the dawning light of a late-summer morning, the people of lower Manhattan stand hushed, staring up in disbelief at the Twin Towers. It is August 1974, and a mysterious tightrope walker is running, dancing, leaping between the towers, suspended a quarter-mile above the ground. In the streets below, a slew of ordinary lives become extraordinary in best-selling novelist Colum McCann's stunningly intricate portrait of a city and its people. Not What I Expected - At All! In 1994, Immaculee Ilibagiza's world was ripped apart when her native country of Rwanda descended into a bloody genocide. Her family was brutally murdered during a killing spree that lasted three months and claimed the lives of nearly a million Rwandans. Miraculously, Immaculee survived the slaughter. With uncommon humanity, candor, wit, and erudition, National Book Award winner Andrew Solomon takes the listener on a journey of incomparable range and resonance into the most pervasive of family secrets. The Noonday Demon examines depression in personal, cultural, and scientific terms. Drawing on his own struggles with the illness and interviews with fellow sufferers, doctors and scientists, policymakers and politicians, drug designers and philosophers, Solomon reveals the subtle complexities and sheer agony of the disease. 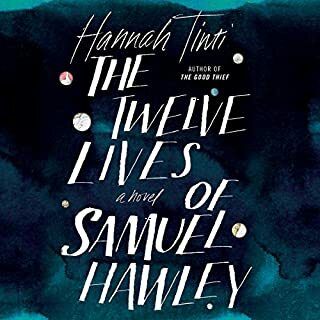 Vivid language, larger-than-life characters, and an old-fashioned, spell-binding story propel this fable-like tale forward from one adventure to the next in Hannah Tinti's critically-acclaimed debut novel The Good Thief. if Tinti had written this book (released in 2008) a century and a half ago, readers would have lined up at newspaper stands each week for the next installments of the story about a plucky, one-armed orphan named Ren and the odd characters he encounters in grim, 19th-century industrial towns across New England soon after he's adopted from Saint Anthony's orphanage. Fans of Charles Dickens, particularly Oliver Twist, will feel right at home as Tinti writes about con artists, thieves, monks, grave robbers, questionable doctors, a kindly boarding house matron, a ruthless factory owner, a dwarf who lives in a chimney, and a giant who rises from the dead. And like Dickens, Tinti keeps her descriptions and sentences short, getting straight to what matters and leaving out the rest. 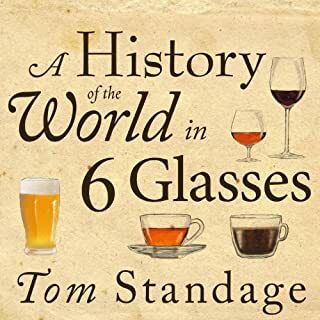 Such characters might sound like figments of a drunken sailor's imagination as he tells a tall tale in a seaside saloon after returning from a round-the-world voyage. And in some cases, some of the stories are just that, especially when they're told by Benjamin Nabb, the con artist and natural storyteller who adopts Ren. But this book is not science fiction. Like a magically realistic Latin American novel, all of the characters and events are grounded in reality, no matter how far-fetched they may sound. Such plausibility is thanks partly to William Dufris, who narrates the audiobook. Dufris captures the voices of each distinct character and brings them all to life, whether it's letter-dropping New England "faamers", the slow-talking, deep-voiced giant named Dolly, the "mouse trap" girl with a lisp, the shouts of the hard-of-hearing boarding house operator, or the harsh, menacing tone of the factory owner. Dufris especially does a great job of portraying Ren's innocence while not making him sound too childlike. But like the fictional character Benjamin Nabb, Dufris rises to the challenge and delivers a story that would keep any sailor nailed to his seat for hours. Twelve-year-old Ren doesn't know who his parents were. He doesn't know who left him at St. Anthony's orphanage, or how he lost his left hand when still an infant. He is resigned to life without a family to call his own and terrified of the future. But then a young man named Benjamin Nab appears, claiming to be Ren's long-lost brother, and his convincing tale of how Ren lost his hand and his parents is enough to persuade the monks at the orphanage to release the boy. But is Benjamin really who he says he is? Journeying through the New England of whaling towns and meadowed farmlands, Ren is introduced by Ben to a vibrant world of hardscrabble adventure. Ultimately he is apprenticed to Ben's small band of resurrection men, those thieves of the night who steal bodies and sell them to hospitals for medical examination. If Ren stays, he becomes one of them. If he goes, he's lost once again. Most importantly, does Benjamin hold the key to the mystery of his - or their - parents, the defining question of Ren's life? 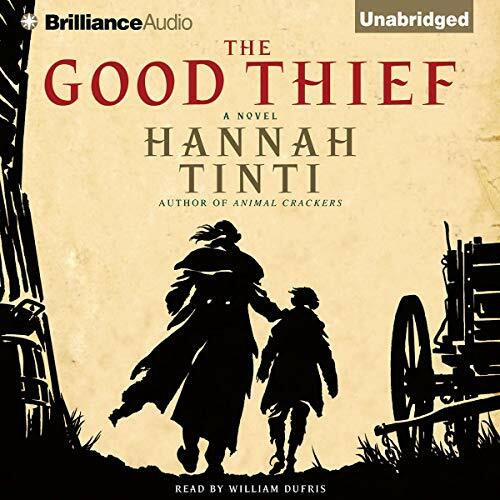 Richly imagined, gothically spooky, and showcasing the storytelling ability of a born novelist, Hannah Tinti's The Good Thief introduces one of the most appealing young heroes in contemporary fiction, and ratifies Hannah Tinti as one of our most exciting talents. ©2009 Hannah Tinti (P)2009 Brilliance Audio, Inc. Loved the story! Plot was particularly well thought out and offered a number of suprises. The mood too was well articulated, fog and unease. But most of the characters were a bit one dimensional. I loved them as they were all quirky and strange but I did not believe in them for a minute! They needed a back story to make them real. This is one of those books that should have been longer with more time invested in fleshing out the cast. Still, a good romp! I felt the first half of the book was very slow. I had a hard time making myself read/listen to the storyline. It picked up after halfway. I did not like the ending and felt it could have been better, more descriptive and clean. Definitely not a fan of this book. An entertaining novel with interesting twists. It made a long drive go quickly. I found no valuable take-always to make it a five star read. It was nice. Loved the story line. Ren is such a strong character and there were so many twists and turns that always kept me on my toes. I couldn't stop listening!!! I STRONGLY recommend this book to pretty much anyone. The Good Thief seems to be a classic picaresque tale, or a humorous adventure tale involving a rogue living by only his wits in a corrupt society. Usually satire is involved, although I'm not sure if that's the case in this book. Maybe I just don't like picaresque novels? Anyway, this one seemed to really have no point. Perhaps if I thought it were satirizing something, that would give it a point. Instead, it just seemed to be endless mis-adventures that were completely improbable and added up to nothing. It went on and on with one plot twist after another. It was hard to get attached to any of the characters because they were so cartoonish. Although the ending did serve to wrap it things up nicely, it, too, seemed pretty implausible. How did I end up listening to this? I am terrible for adding books to my wishlist on a whim, then later wondering what about them led me to add them; the plot? the author? the narrator? the cover?. Mostly I find the reason, one of the aforementioned, and mostly, but not always, I will stick with my whim and download the book. Rarely have I regretted books chosen in this way. 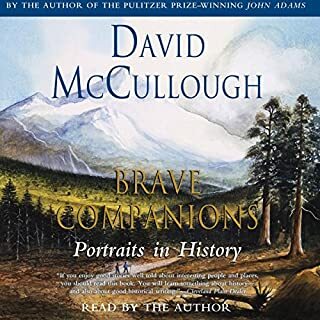 In this case it was one of a large number of books narrated by William Dufris, then I homed in on the plot etc, and downloaded it. Not my usual choice of subject matter and so on, but had I not been looking for something 'different'? Yes I had, and yes indeed, in this novel I found that something 'different', very different! I was yearning. You can read the plot synoposis elsewhere. All I will say is that this book is very unusual, slightly Dickensian, very Gothic, very atmospheric, slightly surreal and a little scary in parts, but turned out to be an excellent and very satisfying listen from start to finish. Anyone looking for something a bit unusual? You won't be disappointed. The narration is just wonderful.